Leaving an abusive home is a challenge in its own right, but to leave with all your personal belongings and fond memories can be impossible if you’re doing it on your own. Aaron and Evan Steed, owners and CEOs of the moving company Meathead Movers, offer a helping hand for women and men eager to move out of abusive homes. When the guys started their moving business over a decade ago, they occasionally received panicked phone calls from women with little or no money who needed to move out of an abusive home — fast. The Steed brothers always rushed to help and never accepted compensation for their efforts. Now, the company continues this service gratis and partners with local women’s shelters in five major California counties so they can provide additional support to victims of domestic abuse in the way of counseling, safety, and legal aid. The two CEOs are using their model of compassionate business to help start a kindness revolution in the professional and corporate sphere. They recently launched a campaign that encourages other businesses to think creatively about how they can support and assist victims of domestic violence. If you want to support the initiative, follow and use the hashtag: #MovetoEndDV. Tom Swanecamp, Keith Lovgren, and Josh Harper are the guys behind Waves of Impact, an organization that hosts free surf camps along the coast of California for wounded veterans and kids with special needs. 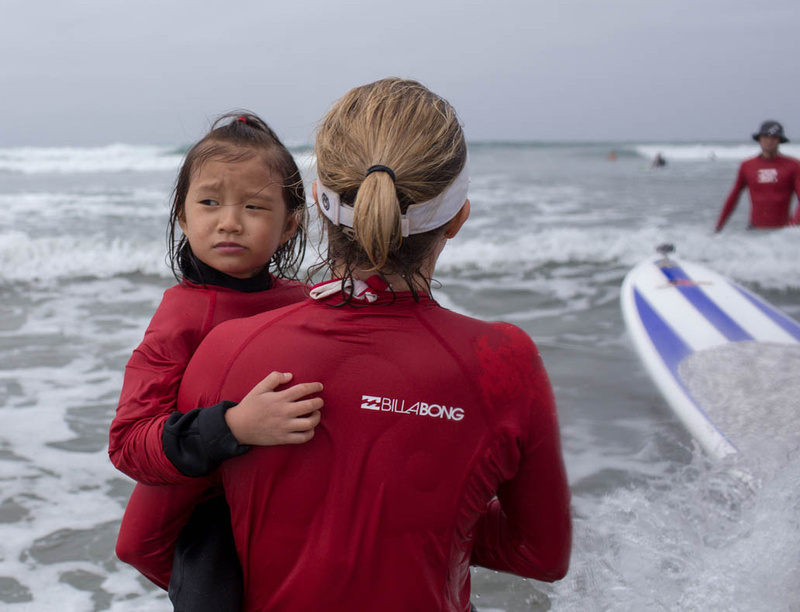 Waves of Impact teaches surfing with two simple goals: to help children and veterans build or regain confidence and to foster a sense of community between everyone involved. Not only does Waves of Impact give people the opportunity to learn a new skill, make new friends, and experience the ocean’s restorative powers in a safe and supportive space, it does it for free. Waves of Impact relies solely on the help from dedicated volunteers, local surfers, and sponsors to run and fund their camps. Tom, Keith, and Josh, along with their devoted volunteers, are the lifeblood behind this organization. Their drive to empower individuals in their community to overcome extraordinary obstacles is what keeps the organization moving forward and changing lives. Despite good intentions, so many people are reluctant to hand out money to homeless individuals on the street for fear of not knowing how the money is used or where it ends up. HandUp eliminates this fear by making the giving process easy, direct, and totally transparent. It works like this: you donate online to the HandUp website then receive a $25 gift card in the mail along with instructions for how to pass it out. You can then give your gift card or cards to your homeless or struggling neighbors. Your neighbors can redeem the gift cards at nearby stations in exchange for food, supplies, clothing, or transportation. Once someone redeems your gift card, HandUp sends you an email notification telling you how the money was used. Rose’s idea is genius for a couple reasons: not only does it encourage charitable behavior by facilitating the giving process for donors, but it guarantees that the people using these gift cards receive tangible, direct benefits. It’s an innovative and inspiring next step toward combating homelessness throughout California. Jordan Younger, a Sacramento native and popular health and lifestyle blogger, is using her story of extreme dieting and recovery to promote body acceptance and love. When Jordan, who adhered to a strict vegan diet for years, opened up to her online community about her struggle with an eating disorder, she became a champion for balanced eating and non-judgment. Jordan’s candor about her battle with orthorexia, an eating disorder characterized by the obsessive need to adhere to a “correct” or righteous diet, has helped shed light on the little-known yet increasingly common struggle many people face. Since Jordan began her recovery process, she’s written honest posts about her eating hesitations and set-backs, interviewed other women overcoming disordered eating habits, and served as a model of persistent self-love for her readers. Her blog — now full of life musings, healthy recipes, travel journals, and essays on positive self-image—seeks to promote a balanced lifestyle and encourages people to speak openly about their food and body-related fears and insecurities. Jordan even wrote a book (Breaking Vegan, due this November) that discusses her transition from strict veganism and fear-related food choices to a label-free diet and a whole lot of self-love. Our trash bins — the ones we fill week after week with grimy garbage and wheel to the curb for routine pick-up — are covered in germs and potentially life-threatening bacteria. Corey Jackson, Fresno local, founded ScrubCan to help families and businesses eliminate the health risks that come with unclean trash bins. Corey and his team use a high pressure water and steam cleaning system to rid the trash cans of mold and bacteria. The best part? 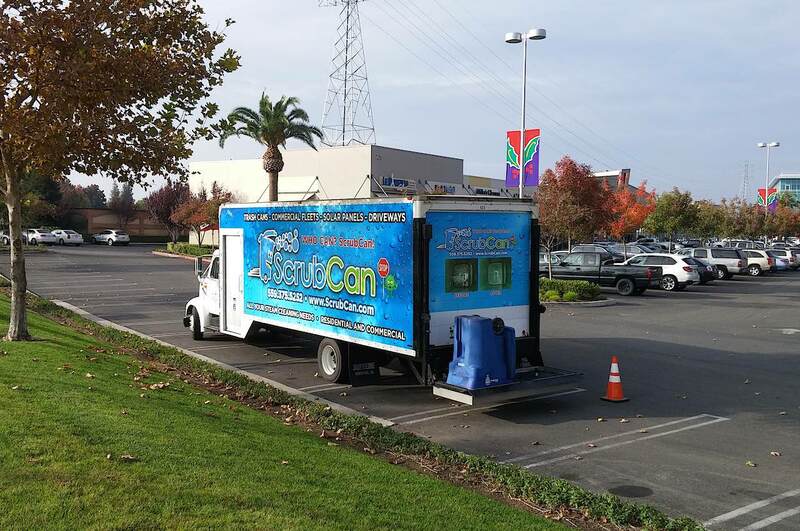 ScrubCan uses 100% recycled water so you can feel good knowing your clean trash cans won’t add to the state’s already severe water deficit. ScrubCan’s mission is simple: to provide a friendly service that helps keep minimize health risks to your family and community — all while respecting the environment and our natural resources. 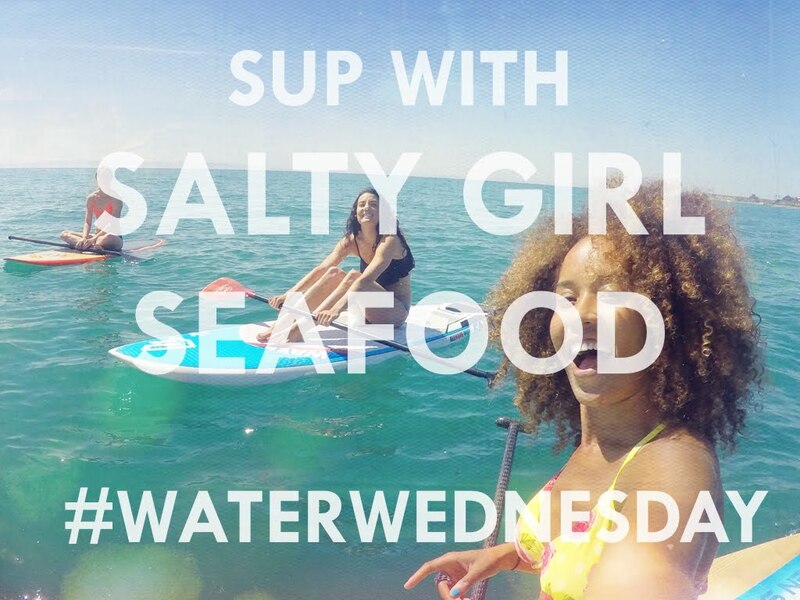 Salty Girl Seafood is changing the way Californians purchase and consume fish. Norah Eddy, Laura Johnson, and Gina Auriemma are self-proclaimed fish lovers and graduates of UCSB’s Bren School of Environmental Science and Management and they’re the powerhouse trio of women behind Salty Girl Seafood. The ladies started the company out of a belief that “serving sustainable, traceable, simple seafood dishes should be easy.” Salty Girl Seafood partners with local non-profit groups and fisheries who practice responsible, sustainable fishing in order to deliver fresh fish to the average joe. The company’s brilliance lies in its simplicity and transparency: when you order fish from Salty Girl Seafood, you’re getting seafood straight from the source — no industry middlemen, no daunting grocery store visits, and no guilt-induced stress over buying the “wrong” kind of fish. And when you buy your fish with Salty Girl Seafood, they hook you up with a code so you can trace your fish online, see where it’s from, and meet the fisherman who snagged it. The women who started Salty Girl Seafood are using their company to empower local fishermen, educate the public, and promote sustainable fishing throughout the world. California’s worsening drought is creating a need—more than ever before — for efficient farming. OnFarm, a startup founded by Lance Donny in the agricultural epicenter of California — Fresno, is an all-in-one platform that displays and analyzes data in the farming sphere. The app includes information on weather forecasts, leading hardware technology, equipment, and efficient farming practices. Recently, the app released a host of new features that help farmers deal with drought restrictions and limitations. The app can help farmers track water usage, view soil moisture, schedule irrigation, and stay up-to-date on drought news and water usage regulations. Lance Donny’s new technology is giving Californian farmers easy, simple access to a wide variety of agricultural innovations. When farmers have more information at their fingertips, they can spend less time making hard decisions and more time taking action. Farmers with increased knowledge and resources are able to yield higher crop returns more efficiently, keeping our agricultural economy afloat and giving Californians continued access to the local food and produce we rely on every day.